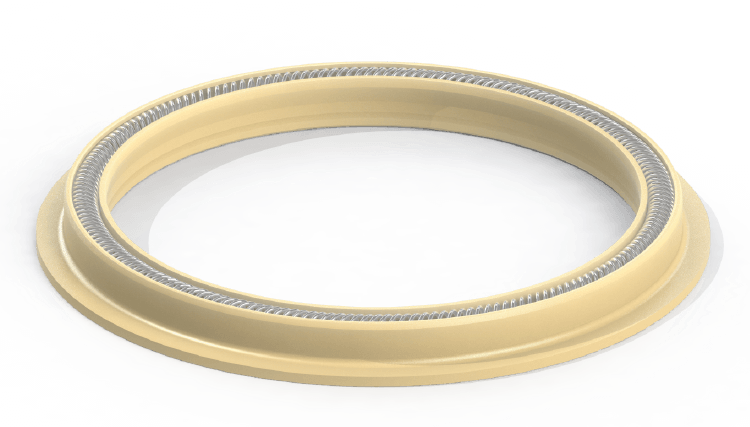 Flanged Seal - Eclipse Engineering, Inc.
Flanged seals are a special class of radial seals with an added feature to help retain the seal under rotary forces. The flange is an extension of the heel of the seal, which locates in a counterbore of the housing. At assembly, the seal flange gets pinched in the housing providing a positive mechanical lock that keeps the seal stationary. Flanged seals are an excellent choice for equipment that can be designed with end plates. In these cases, assembly of a flanged seal is simple and provides a robust design as well as a level of redundant sealing on the static side of the gland. Process machinery that require a product to be contained (mixers, augers, spool valves) are good applications of this design.